JSS a mystery and not quantifiable. Is it fair? Why shoud we harass our Clients since in the first place that is bad? Will not the Client surely report the Freelancer to UpWork if he/ she is harassing the Client to give a high rating and feedback? We only request our Clients to give us a favorable rating and feedback. But isn't is that is is still a Client decision what rating and feedback to give? "Why should we harass our clients...?" : We shouldn't. But that's what happened. "We can only (ask) out clients for a favorable rating..." : No, we can't. That's feedback manipulation and you can get kicked off the platform for it. 1. Vet our clients before submitting a proposal/accepting an offer. This isn't foolproof but it can cut down on the possibility of being stuck with a crazy client. Look at the client's feedback from other freelancers. Develop a radar for clients who are asking for the moon on a platter and all for $5 or less. 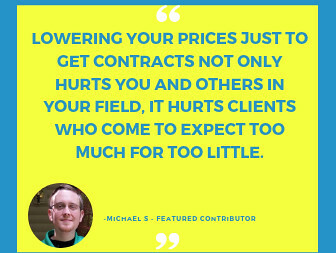 Steer clear of too good to be true contracts. Be VERY conservative in the clients you approach until you have a very good nose for trouble brewing. 2. ONLY try for jobs you can SLAY. Kill. Crush. 3. Do as hot-**bleep** a job as you possibly can. 4. Avoid severely underselling yourself and charging a pittance. You may think clients will be grateful. Ironically, they may end up being the most irrationally demanding clients you have EVER encountered. These are a few things you can actively do to have more good than negative experiences and to bring your JSS up. 1 ended contract: No earnings; It was cancelled by the Client. My Score became 89%. 11% decrease just because of that? Is it just? From 100% Top Rated to 89% No Rated? You have a very high percentage of no feedback contracts--it's surprising that your JSS was so good before. This last failed contract may have just tipped the scales. I contacted Customer Support, as per advised here, became 90%. Back to Top Rated. But, on the Archived Proposals, I've seen that Client's mostly choose 100% Top Rated. My Stats also shows that I have lesser views. So, 90% Top Rated is still not that a big advantage to a Freelancer. Many, many freelancers with JSS of 90%, or even 85% (in some cases, even below 80%) are regularly awarded contracts here. I've also seen, many Expired Job Posts. Why? Was there no qualified Freelancers? No. I think, there are a lot of qualified Freelancers. Or was it because, the Clients cannot see A LOT of 100% Top Rated Applicants, and was discouraged to hire? There are many reasons job posts expire. One is that the client posted in several places and found a great candidate somewhere else. Another is that the project was canceled or put on the back burner. Another is that the client received so many proposals from low end freelancers that he or she stopped looking at proposals and went elsewhere. I saw a Freelancer says that UpWork favors Clients. But Freelancers are the Products of UpWork. UpWork should take care, love, beautify, improve, and etc, its products, the Freelancers. What does UpWork do to its Freelancers, has also an effect on them. If freelancers are the products, then we are a massive overstock. Imagine a restaurant that serves 50 people each day and has 18,764 oranges in its cooler. In the product analogy, we are the oranges. 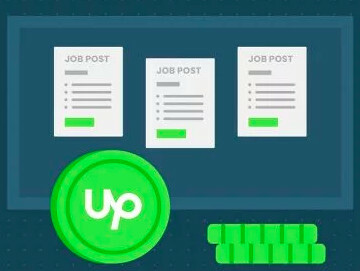 At best, Upwork can make use of 150 of us, which means there are 18,614 extras cluttering up the place and getting in the way. We Freelancers, are applicants, and JSS matters to us, but I hope there is a JUST SCORING OF JSS. 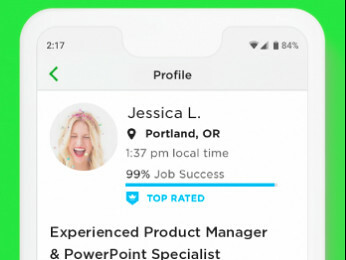 Upwork is a competitive marketplace. It is designed to permit clients to select the freelancers they want for the job and to assess them based on the JSS, among other factors. If a lower score means that a freelancer is less likely to be selected, then the system is working as intended. Clients don't need to have the opportunity to hire lower-performing freelancers. Upwork isn't a work program, it is a for-profit business. Or... Quality clients are the products that I, as a FL, come here to obtain. There are more of us than there are of them, so the price is high. I pay a combination of money (transaction-based fees) and professional investment: creating and maintaining an effective profile, paying attention to my job feed (which is typically not very useful but only takes a few seconds to review), searching job postings regularly, delivering the best work I possibly can on every single contract, keeping a weather eye on my JSS (balancing long-term and short-term contracts, calc windows, etc. ), and remembering to take my business seriously and the rest of the world with a grain of salt. BTW, the authentic community of professional peers I've found here in the forum has been a terrific and unexpected bonus. Jonathan, I am not sure why you would think someone should have a 100% JSS without getting 100% great scores most of the time? That makes no sense. That just isn't the case. Provided money was (ever) paid under a contract, and the freelancer does not have an insane number of such contracts, they have absolutely no impact on the JSS, open, idle, closed without feedback etc. There are plenty of freelancers who have literally dozens of long term idle contracts and / or contracts without feedback and keep their 100% JSS. People tend to prefer to blame stuff like idle contracts and / or no feedback rather than entertain the possibility that maybe some of their clients were not quite as thrilled as they would like to think. There is no great mystery about the JSS when you break it down to its components. It is also pointless to rage about it, as it isn't going to go anywhere. One thing which perhaps many wonder, if they may, is that how a contract with a dollar spent years ago can be considered to be more successful than one that has generated thousands of dollars of revenue recently. Of course, this is none of my business, so let me express my sincere apologies for raising this issue. Wish you all the best and happy freelancing! Ah, but jobs completed years ago aren't included in JSS. The calculation window only incorporates 24-months of data. In fact, another freelancer whose performance has declined in recent years has filled this thread with complaints about the fact that he can rest on his past accomplishments. Everyone wants the JSS slanted in such a way as to favor their particular circumstances. What freelancers should be focusing on is providing solid work and building strong relationships with their clients. If they do so, their JSS won't matter. Which is it you contradicted yourself yet again. "That just isn't the case. Provided money was (ever) paid under a contract, and the freelancer does not have an insane number of such contracts, they have absolutely no impact on the JSS, open, idle, closed without feedback etc. There are plenty of freelancers who have literally dozens of long term idle contracts and / or contracts without feedback and keep their 100% JSS"